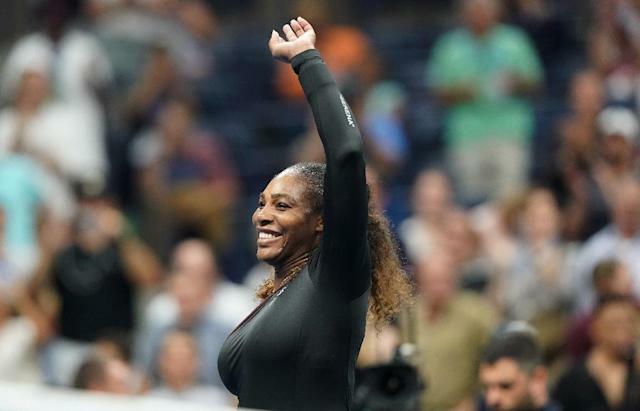 New York (AFP) - Serena Williams made a triumphant return to the US Open on Monday, opening her bid for a record-tying 24th Grand Slam title with a 6-4, 6-0 first-round victory over Magda Linette. The first set was tight," Williams, seeded 17th, said. "It was my first match back here in New York so that wasn't the easiest. "Once I got settled I started doing what I'm trying to do in practice. "I think I'm getting there," added Williams, who reached the final at Wimbledon only to fall short of matching Margaret Court's all-time record of 24 major titles.